FCB Homes has strong roots in California’s Central Valley and has built thousands of homes in desirable neighborhoods and locations. We’re excited about our newest upcoming community, Veranda at Sundance, in Manteca and can’t wait to share more information about this wonderful enclave of homes. Manteca is located in the heart of the San Joaquin Valley and is a great place to live. With growing business opportunities, affordable housing, and close proximity to the San Francisco Bay Area, there’s plenty to love about living in Manteca. It is centrally located at the crossroads of Highway 99 and I-5. This makes living and commuting in Manteca extremely convenient. It’s about 15 miles south of Stockton, 17 miles northwest of Modesto, and about 75 miles east of San Francisco. The best of the Bay Area’s nightlife and the peaceful environment of the Sierra Nevada Mountains are just a short drive away. 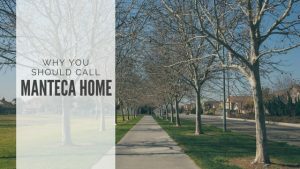 Manteca has continued to be popular with many former Bay Area residents for a variety of reasons, including affordable housing. While Manteca embraces it strong agricultural heritage, there’s also plenty of fun recreational activities available, from attending special events, getting involved in the local arts scene, wonderful dining and shopping options, and a quick drive to the thriving vineyards in nearby Lodi. The city boasts a highly developed system of bikeways, the 260-acre Caswell Memorial State Park (that’s perfect for outdoor activities like picnicking, hiking, swimming, and camping), Spreckels Park BMX, a competitive BMX racetrack, and Big League Dreams Sports Park. We could go on and on about why you’ll love Manteca but we hope you’ll come down and experience “The Family City” for yourself! If you’re looking for a place to call home, we invite you to sign up for our Veranda at Sundance Interest List so you can stay up-to-date on sales releases, grand opening events, and more. Contact us today at FCB Homes to learn more.